This 20 Oz. 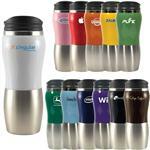 Two-Tone Himalayan Tumbler Travel Mug with a new powder coat finish features a stainless steel liner for beverages on the go! 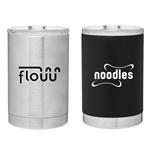 This double walled construction will keep beverages hot or cold for up to 6 hours! 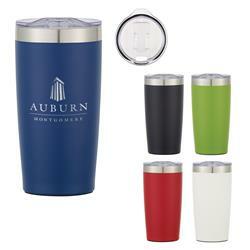 This high end tumbler features a non-skid rubberized bottom and is BPA Free! Meets FDA requirements! 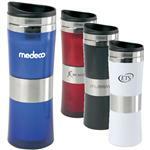 Great for coffee shops and office gifts. 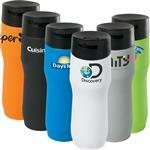 Available Colors: Black, Red, Navy Blue, Lime Green, White-All with a Silver Accent and a Translucent Clear Lid.